Let’s start off with a simple range setup on EUR/GBP’s 1-hour forex chart. 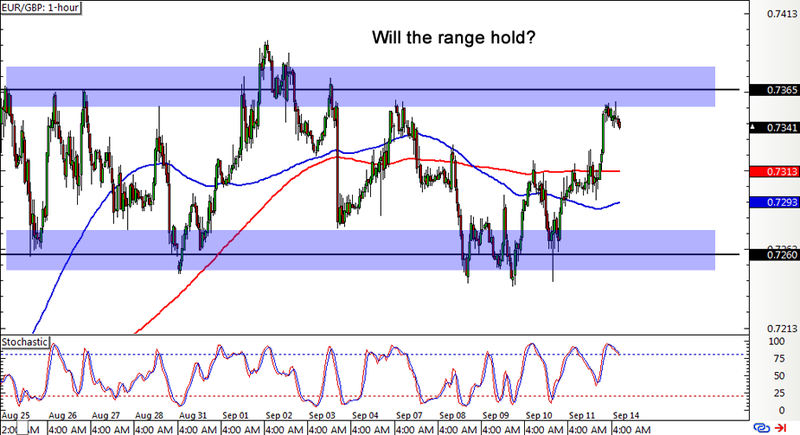 The pair has been pacing back and forth between support at the .7260 area and resistance around the .7365 level. Price is currently making its way up to the top of the range, which might still hold as a ceiling since stochastic is already indicating overbought conditions. Aside from that, the 100 SMA is below the 200 SMA, which suggests that the path of least resistance is to the downside. However, if euro bulls can’t stop charging, an upside breakout might take place, sending EUR/GBP higher by an additional 100 pips or the same height as the range formation. 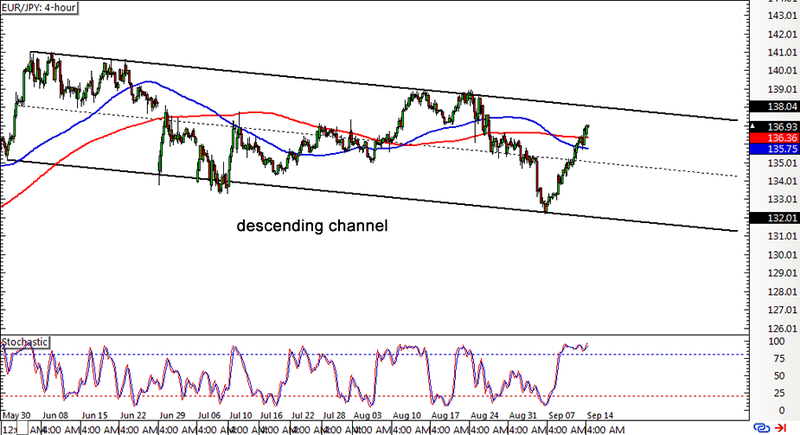 If you think the trend is your friend, then you gotta keep close tabs on this descending channel setup on EUR/JPY’s 1-hour forex time frame. The pair has been moving inside this channel for the past three months and is now aiming to test the resistance near the 137.00 major psychological mark. The 100 SMA is currently below the longer-term 200 SMA, confirming that the downtrend is likely to carry on. At the same time, stochastic has been lingering in the overbought zone, indicating that buying pressure is starting to fade and that it could be time for the sellers to take over. In that case, a move back towards the channel support near the 131.00 major psychological mark could be in order. 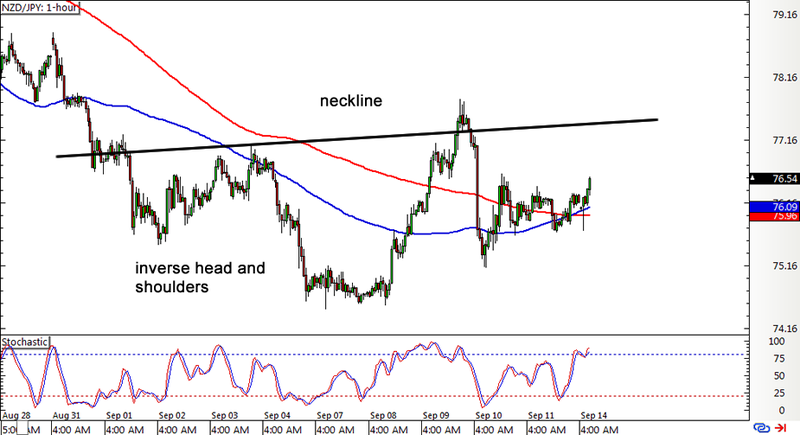 Last but not least is this potential reversal brewing on NZD/JPY’s 1-hour forex chart. The pair has been in a strong selloff for quite some time, but it looks like Kiwi bulls have had enough. An inverse head and shoulders pattern is forming on the short-term time frame, suggesting that a quick rally might be in the cards. Price has yet to test the neckline of the formation somewhere around the 77.50 minor psychological level before confirming the potential uptrend. Note that the chart pattern is approximately 300 pips tall so the resulting breakout could last by at least the same number of pips. Stochastic is already indicating overbought conditions for now, which means you gotta be a little more patient in waiting for buyers to take control.